City Global Hotel is a budget hotel located at Port Harcourt road Owerri off housing junction, Owerri, Imo, Nigeria. City Global Hotel has a lot rooms all with fundamental facilities installed. Room categories include Bronze, Silver, Gold and Diamond. 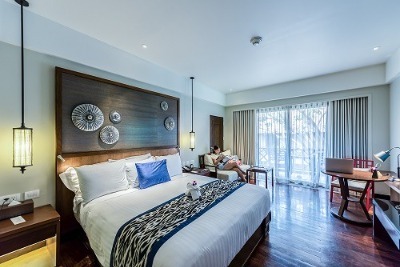 Each room features a spacious bathroom, king-sized beds, cable connected TV sets and air conditioners. A number of facilities are available at City Global Hotel. These include free WiFi, a restaurant and a bar. Guests at this hotel will have more time to enjoy their stay at the hotel. It is a popular destination for families on vacation in Nigeria. It is relatively cheaper than hotels in its category. Q: Does City Global Hotel offer free wifi? Q: Does City Global Hotel have a swimming pool? Q: Does City Global Hotel offer complimentary breakfast? Q: Is there a fitness centre/gym at City Global Hotel? what type of equipment are available? Q: Does City Global Hotel have a restaurant? A: A restaurant is available at City Global Hotel. Q: Does City Global Hotel offer free parking? City global hotel owerri is a budget hotel in Owerri, Imo. Have nice pictures of City global hotel owerri?